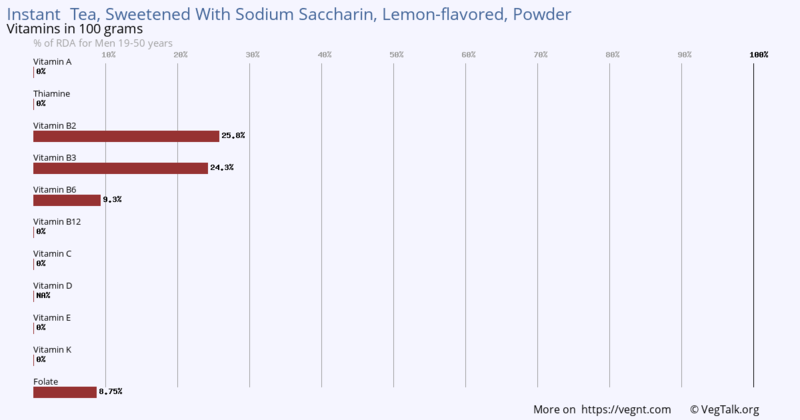 Beverages, tea, instant, sweetened with sodium saccharin, lemon-flavored, powder. 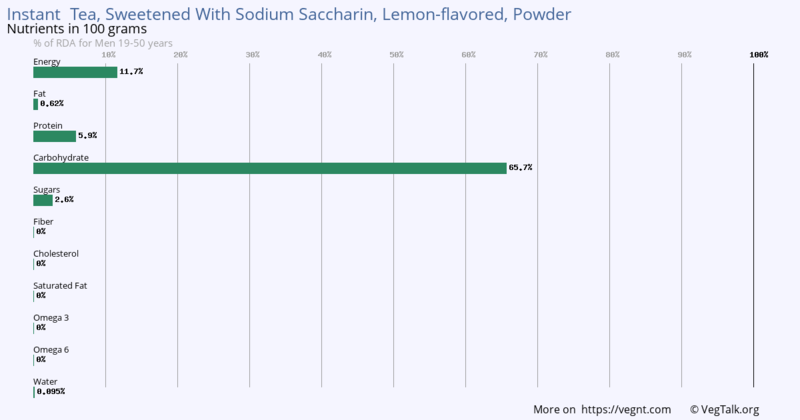 100 grams of Instant Tea, Sweetened With Sodium Saccharin, Lemon-flavored, Powder is an excellent source of Vitamin B2 and Vitamin B3. It has a good amount of Vitamin B6 and Folate. It has no Vitamin A, Thiamine, Vitamin B12, Vitamin C, Vitamin E and Vitamin K.
100 grams of Instant Tea, Sweetened With Sodium Saccharin, Lemon-flavored, Powder has outstanding amounts of Iron and Manganese. 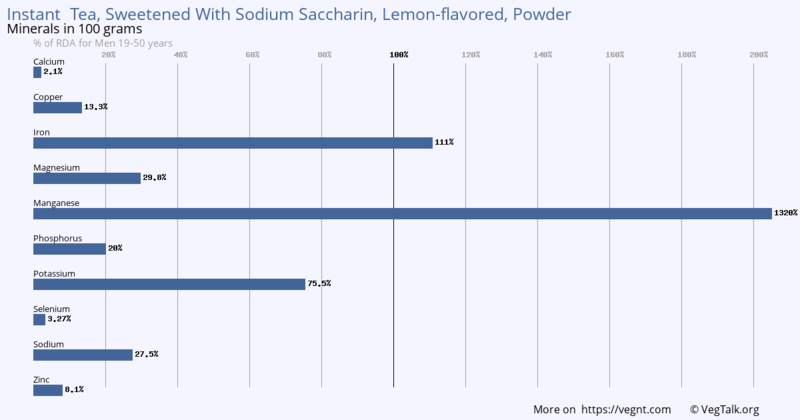 100 grams of Instant Tea, Sweetened With Sodium Saccharin, Lemon-flavored, Powder is an excellent source of Carbohydrate. It has some Protein and Sugars. It has no Fat, Fiber, Saturated Fat, Omega 3 and Omega 6.